1. Plastic Material Type: ABS, ABS+PC, PP, PS, POM, PVC, TPE, TPU, PA6.6, PA6, PA6.6+30GF, etc. 2. Mould Steel: Saarstahl, Assab, AISI & JIS, DAIDOSTEEL, ALCOA,S136, 1.2311, 1.2738, NAK80, 2344, 420, 2083. 3. 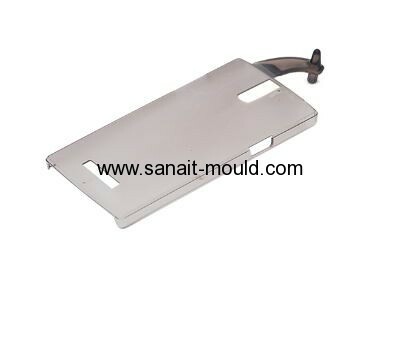 Mold Base: Hasco standard, DME standard, LKM standard, PUNCH, JINHONG. 4. Cavity No. : Single, Multi Cavity, Change Insert1. Plastic Material Type: ABS, ABS+PC, PP, PS, POM, PVC, TPE, TPU, PA6.6, PA6, PA6.6+30GF, etc.